Bournemouth University staff and students have been involved in a groundbreaking project looking at positioning, ageing and gay life in rural areas of South West England and Wales. The product was Rufus Stone; a great short film produced by members of the university with key support from industry professionals looking at the researched themes. 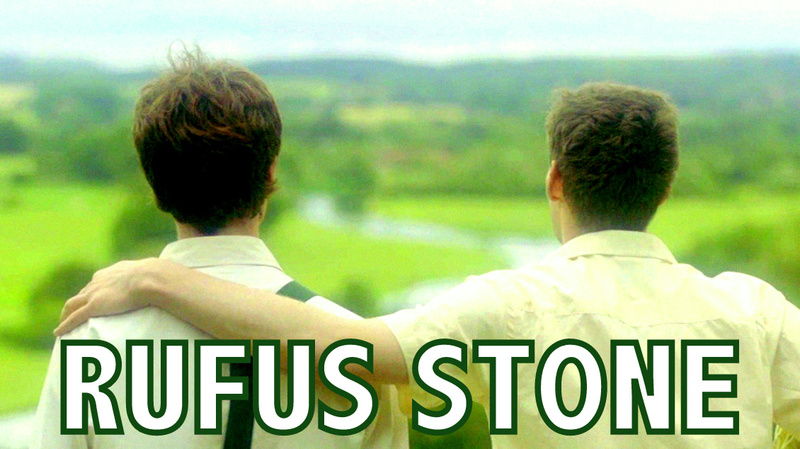 Further details about the film can be found on the Rufus Stone microsite. Research was conducted as a part of the ‘Gay and Pleasant Land?’ research project, with BU’s involvement led by Reader in Qualitative Research and Performative Social Science, Dr Kip Jones. The aim of the research was to look at ways in which older people are connected to their rural communities in different cultural factors (for instance, culturally, socially and economically) and looked to develop an understanding of how sense of belonging may be negotiated within a rural context. More specifically, the project looked to empower older lesbians and gay men in rural areas through its research findings. As a part of the project, postgrad students and academics from BU’s School of Health and Social Care conducted biographical interviews with older gay and lesbian community members in rural South West England and Wales and conducted site visits. Rufus Stone was inspired by stories and testimonies uncovered during the research conducted by Dr Kip Jones and his BU team. The film gave a unique ‘fictional’ presentation of the research findings and the themes explored. Rufus Stone enjoyed a successful ‘World Premiere’ at BU towards the end of 2011. Since its premiere, the film has been screening at festivals and conferences around the world. More importantly, plans are progressing to show the film to the rural communities throughout the South West of England and Wales where the research was conducted. This should help to give a practical application to the research findings and further purpose the short film these findings inspired.